According to the UBS study, 56 percent of those polled reported a drop in income in 2016. If incomes continue to drop, however, Russians won’t be able to cut their food budgets and still adequately feed themselves. Any further cuts could mean risking malnutrition. Consumers are not willing to further cut food spending even if their financial situation continues to deteriorate. 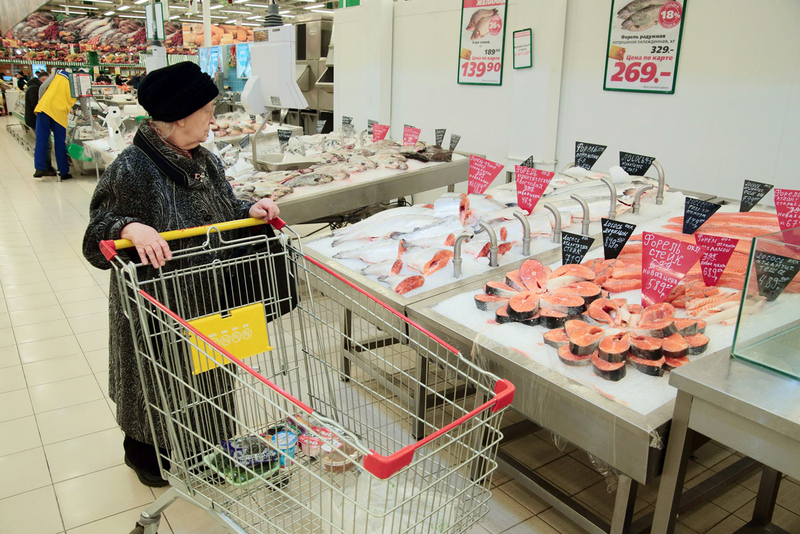 Grocery spending will drop just 5 percent, considerably less than on other items, according to research by UBS Evidence Lab, which polled 1,000 Russians. If their personal financial situation worsens, Russian consumers are prepared to cut spending on home improvement and home appliances by more than 60 percent; on vacation and holidays by more than 70 percent; on entertainment and eating out by 80 percent. If their personal financial situation improves, however, consumer spending on groceries will rise by 32 percent; spending on holidays, home improvements and eating out will increase by 40 percent, 37 percent, and 19 percent, respectively. According to the UBS study, 56 percent of those polled reported a drop in income in 2016. This trend is particularly strong in low-income groups, which is defined as those who earn 40,000 rubles and less each month. About 63 percent of these admit that they have started to earn less, while 12 percent report the opposite. Only 28 percent of respondents in the high-income group, those with monthly earnings of 125,000 rubles and more, have reported a deterioration in their financial situation, with 31 percent reporting an improvement. In 2017, Russians’ incomes should rise and this will be reflected in increased consumption, UBS analysts predict. Saving money on food has reached rock bottom and consumers cannot further cut spending without risking malnutrition, said Deloitte partner Yegor Metelkin. The consumer basket comprises a basic selection of staple foods. “In 2017, however, Russians will start to expand their consumer basket selection thanks to the stabilization of the economy, the ruble exchange rate and import substitution,” said Metelkin.